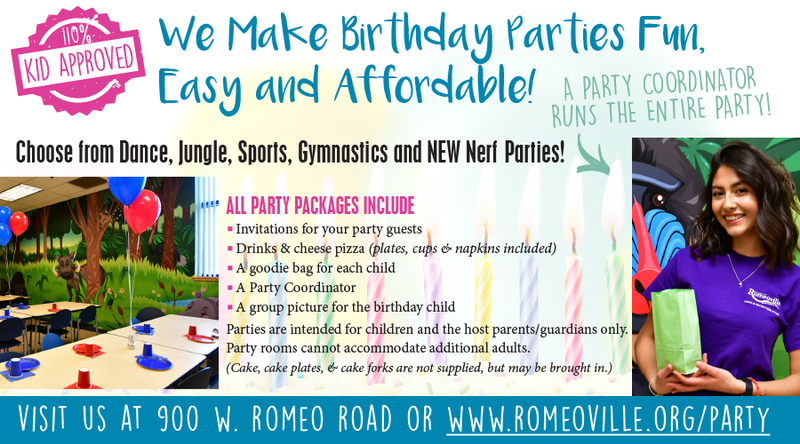 We are excited to introduce you to the birthday party possibilities at Romeoville Recreation Department! They have affordable options that are easy and fun. Check out this great video they made to walk you through what they offer! Romeoville Recreation Department makes your next birthday celebration easy. Simply choose from Dance, Jungle Safari, Sports, Gymnastics or NEW Nerf parties and you will feel taken care of! The Romeoville Recreation Department is offering one lucky Kidlist reader a free birthday party for their son or daughter! Choose between a Jungle Party, Sports Party, NERF Party, or Gymnastics Party. Parties are intended for children and the host parents/guardians only. 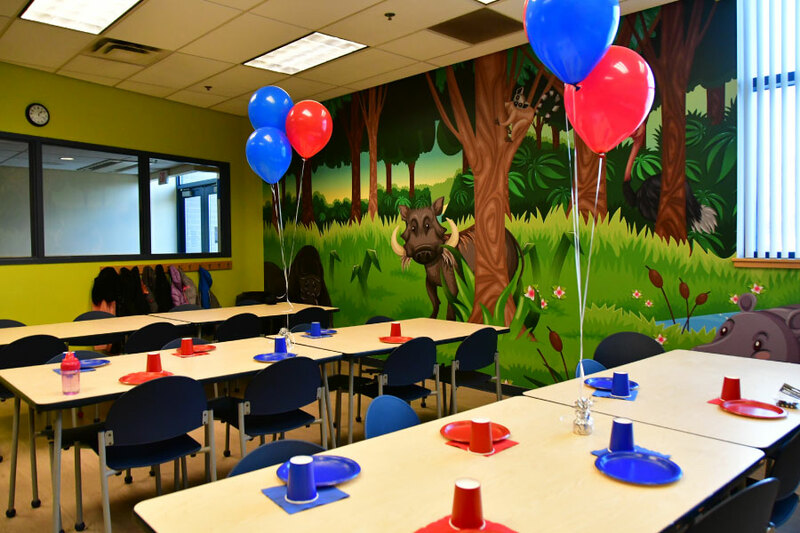 Party rooms cannot accommodate additional adults. Cake, cake plates, and forks are not supplied, but may be brought in. Party must be booked 30 days in advance. Simply fill out the form below to be entered in the party giveaway. The giveaway closes on Sunday, April 14, 2019 at 8:00 pm and the winner will be notified via email that same evening. You will find Romeoville Recreation Department and more party options in our Southwest Suburban Birthday Party Guide! Be the first to comment on "Birthday Party Giveaway! Romeoville Recreation Department"